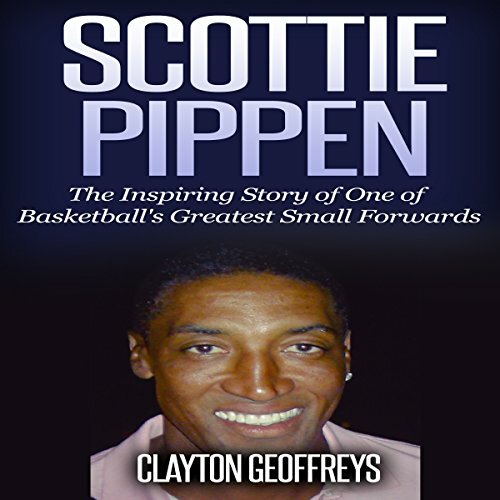 In Scottie Pippen: The Inspiring Story of One of Basketball's Greatest Small Forwards, you'll listen to the inspirational story of basketball's star, Scottie Pippen. This short unauthorized biography of Scottie Pippen highlights the greatest moments of his career. Scottie Pippen was one of the underdog stories of the NBA when he first entered the league, drafted surprisingly as the fifth overall pick by the Seattle Supersonics before being traded on draft night to the Chicago Bulls. He would become a central figure alongside Michael Jordan in the Bulls’ historic championship runs of the 90s. Even after the Bulls dynasty dismantled, Scottie would impress as he spent the later part of his career seeking championship number seven as part of the Portland Trailblazers listen on to learn about the days of when Scottie Pippen played alongside Michael Jordan, Dennis Rodman, Toni Kukoc, Ron Harper and Steve Kerr in some of the greatest times of Chicago Bulls’ basketball history.